London start-up Dandy Lab’s bricks-and-mortar store represented a vision of the future, where retailers use the power of IoT and data analytics for more personalised shopping. Co-founder Julija Bainiaksina tells us about the project. Speaking to IoB editor Doug Drinkwater at the Internet of Retail conference earlier this year, Bainiaksina talked through the concept store in London, which used sensors, Wi-Fi routers and data analytics from Cisco. The concept store, which was located in Old Spitalfields Market in East London from August 2015 to February 2016, positioned numerous devices around the shop floor to offer a more personalized shopping experience. These ranged from a flat-screen TV connecting to an NFC terminal (NFC tagged items were dotted around the store), to tablet screens embedded into the shelves for more intuitive browsing. 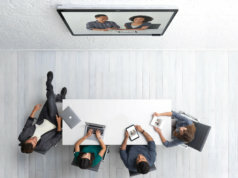 Meanwhile, the store also created what it called a ‘virtual styling wall’ using a webcam connecting to a screen running software from Cisco-backed start-up Snap Fashion, while Cisco DX70 video conferencing system enable customers and staff to communicate directly with product manufacturers and suppliers about designs or alterations. 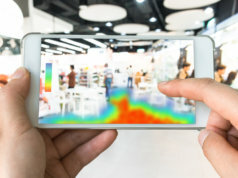 Using the store’s Cisco Meraki Wi-Fi routers, the Dandy Lab tapped into Cisco’s Connected Mobile Experiences (CMX) analytics package to see how many passers-by came into the store, as smartphones pickup and interact with the wireless signal. This gave a far more accurate picture of how busy the store is than simple sales figures alone. Cisco’s ‘Store in a Box’ underpinned most of the technology in-store, while Dandy Lab leveraged fog computing and Cisco analytics to analyse the data it collected from the various sensors, apps and systems linked to store’s network. Collected data ranged from sales and stock levels to customer behaviour and energy. 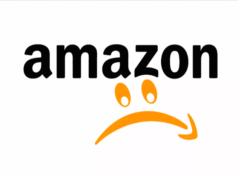 “Our two sides of business focus on the product side, but also on exploring different technologies, for example, the IoT technologies coming onto market, like the different IoT sensors,” Bainiaksina told IoB, prior to the store closing. She said that there is ‘massive potential’ for IoT in retail, with the ability for sensors to measure footfall, engagement with shelves, to understand how customers are reacting to new products. Nonetheless, she said that IoT remains a concept in its infancy, at least in the retail environment. 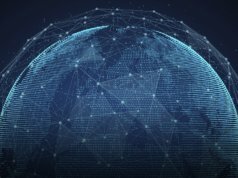 In the interview, she lists skills shortage, knowledge and information security as the main barriers to adoption of IoT and data analytics tools. Founded by UCL alumni Peter Juen Ho Tsanga and Bainiaksina in 2014 on the back of the Tech City-based Idea London initiative, The Dandy Lab is a retail store full of “Internet of Everything” technology provided by Cisco, and supported by software from third-parties and fellow Idea London start-ups. It was a six-month project running to February 2016. For more videos from the Internet of Retail conference, click here and remember to subscribe to IoB TV for more interviews with senior executives. 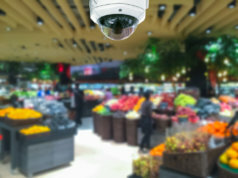 Want to see IoT retail in action? Click here to attend our Internet of Retail US summit. Taking place in New York on 18th & 19th of October, The Internet of Retail is exploring the digital transformation of retail through the use of connected devices. Discover the business application of new IoT technologies through real-life case studies from studies from like likes of Coca-Cola, John Lewis, Adidas and many more.